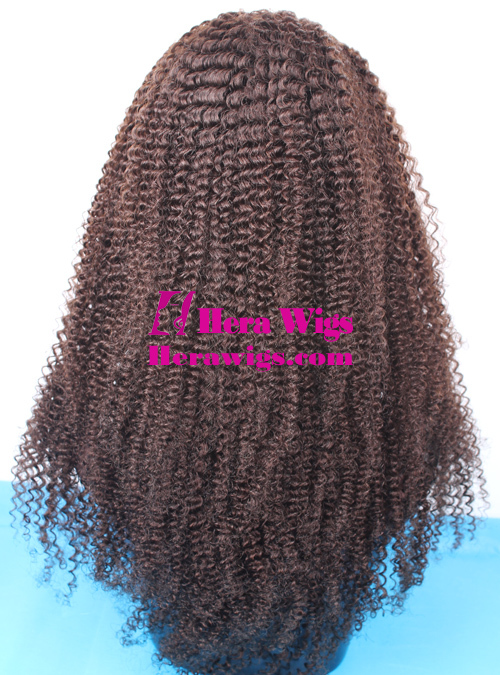 This beautiful human hair wigs is Hera 20 inches #2 afro curl darkest brown Indian remy hair full lace wigs. The afro curl texture is very small curl, which many African-American young girls like afro curl full lace wigs. Afro curl full lace wigs is suitable for young girls, which make you more fashion. 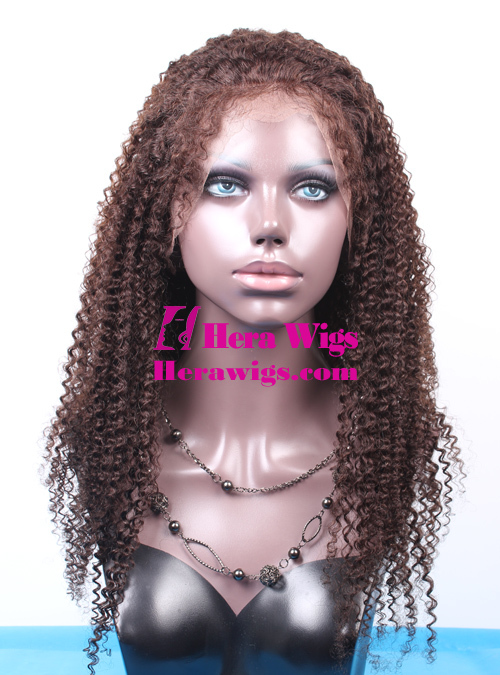 Hera full lace wig's regular wig cap have a piece stretch lace on the top of cap so the wig can suit for your head better and you can do pony tail with full lace wigs, which is the most important difference with lace front wigs. Hera have more than 5000 units different hair length, diefferent hair color stock full lace wigs so we can meet most ladies full lace wigs requirement. 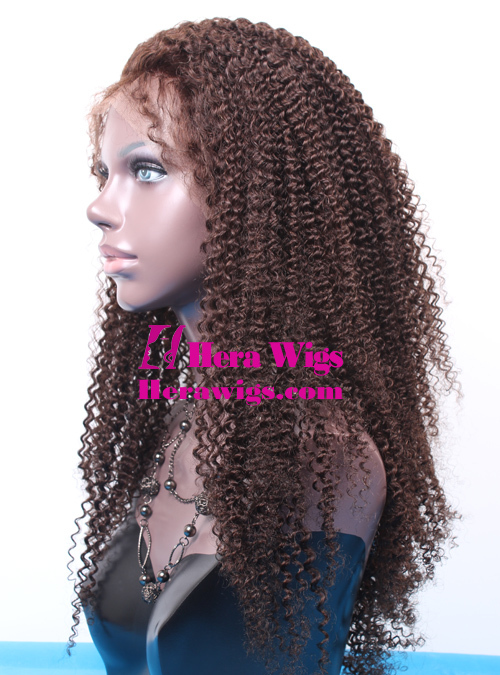 Hera full lace wigs wholesale MOQ is only 5pcs and you can mix the hair length, hair color and texture. If you want to wholesale afro culr darkest brown color Indian remy hair full lace wigs, please send your requirement details to us with your address details then we can calculate the total price for you. If you are personal buyer, you can visit our online full lace wigs store by http://www.herawigs.com/full-lace-wigs.html , where you can place your order online directly with Paypal and it's free shipping to worldwide. If you have special requirement for afro curl full lace wigs, such as with your own measurement wig cap, silk top, different virgin hair etc., you can send your special requirement to us, then we can offer you sperately according to your order details.